We are very excited to have cold case homicide detective turned apologist J Warner Wallace presenting at our D2D conference. He is a remarkable speaker and just an all around great guy. He’s looking forward to his visit to New York and wants to see you at the conference! James “Jim” Warner Wallace (born June 16, 1961) is an American homicide detective and Christian apologist. He has authored several books, including Cold-Case Christianity and God’s Crime Scene, in which he applies principles of cold case homicide investigation to apologetic concerns such as the existence of God and the reliability of the Gospels. 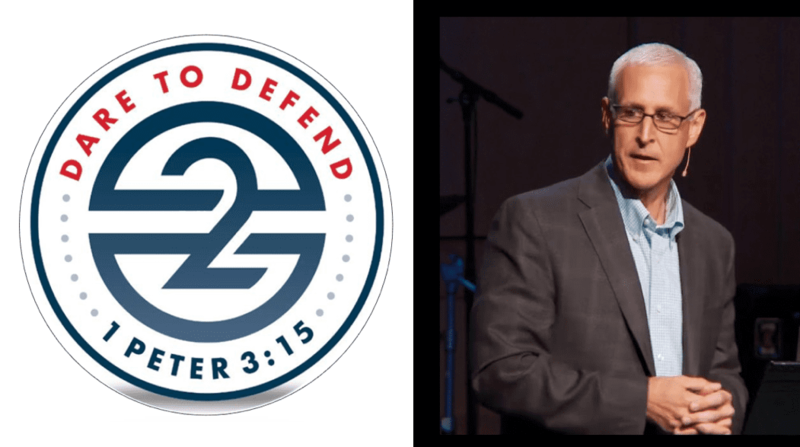 Wallace serves as an adjunct professor of apologetics at Biola University and hosts the weekly television program Cold-Case Christianity on the NRB Network. He has been featured as a cold-case homicide expert on Fox 11 Los Angeles, truTV (formerly Court TV), and NBC. Wallace graduated from the Los Angeles Sheriff’s Explorer Academy in 1978. From there he went on to pursue a career in the arts, earning a bachelor’s degree in design from California State University at Long Beach and a master’s degree in architecture from the University of California, Los Angeles (UCLA). In 1988, Wallace returned to law enforcement, attending the Los Angeles Sheriff’s Academy as a recruit for the Torrance (CA) Police Department. During his law enforcement career, Wallace served on a number of assignments, including SWAT, Gang Detail, and Robbery Homicide. He was also one of the founding members of the Torrance Police Department’s Cold-Case Homicide Unit. As a homicide detective, Wallace has investigated a number of high-profile cold-case murders. His cases have been featured on Dateline (NBC) and North Mission Road (truTV). As a founding member of the Torrance Police Department Cold-Case Homicide Unit, Wallace earned the Sustained Superiority Award from the South Bay Police and Fire Medal of Valor committee. He also won the 2015 California Peace Officer Association COPSWEST Award for best solved cold case. In 1996, Wallace became a Christian (previously having been an atheist) at the age of 35, after investigating the gospels as potential eyewitness accounts to the life of Jesus. Wallace joined the staff of Saddleback Church, while continuing to serve as a cold-case homicide detective. He later enrolled in Golden Gate Baptist Theological Seminary, earning a master’s degree in theological studies. Wallace began applying the principles of cold-case homicide investigation to Christian apologetics. He has written three books addressing the evidence for Christianity: Cold-Case Christianity, Alive, and God’s Crime Scene. Wallace has been a guest on a number of television programs, including The 700 Club (CBN), Praise The Lord (TBN), 100 Huntley Street (Crossroads), and The Leon Show (TBN/The Miracle Channel). He has spoken on several radio broadcasts, including The Laura Ingraham Show, The Eric Metaxes Show, The Janet Mefferd Show, and In the Market with Janet Parshall. Wallace also has a cameo role in the film God’s Not Dead 2, playing himself testifying in a court scene. Wallace’s first book is Cold Case Christianity; A Homicide Detective Investigates the Claims of the Gospels (David C. Cook, 2013), presenting ten principles of cold-case homicide cases and using them to investigate the claims of the New Testament gospels. In Alive: A Cold-Case Approach to the Resurrection (David C. Cook, 2014), Wallace investigates the accounts of the resurrection of Christ and argues that there is compelling evidence to believe them. In God’s Crime Scene: A Cold-Case Detective Examines the Evidence for a Divinely Created Universe (David C. Cook, 2015), Wallace utilizes a simple investigative template to examine eight lines of evidence in what he calls the “crime scene of the universe,” arguing they point to the existence of God. In Cold-Case Christianity for Kids (David C. Cook, 2016), Wallace draws readers into the thrill of high-stakes investigation by showing them how to think rather than telling them what to think. In this children’s companion to Cold-Case Christianity, Wallace gets kids excited about testing witnesses, examining the evidence, and investigating the case for Christianity.